Data on abundance and populations of native fish is limited to fisheries species based on catch rates. Recent assessments by Victorian Fisheries Authority have indicated that populations of black bream have remained stable over recent years, but numbers of juveniles have increased suggesting potential future increases in the adult population. 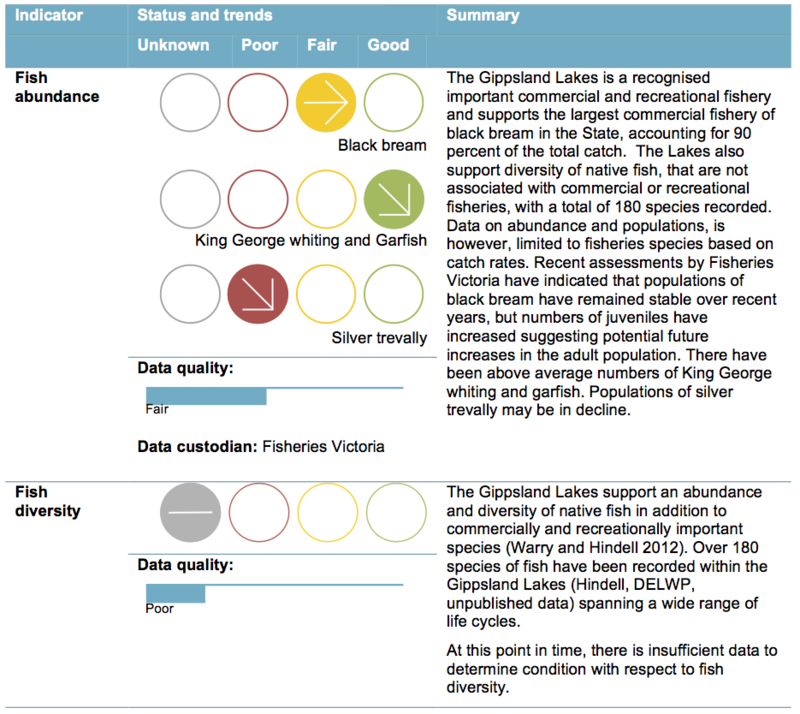 There have been above average numbers of King George whiting and garfish. Populations of silver trevally may be in decline.